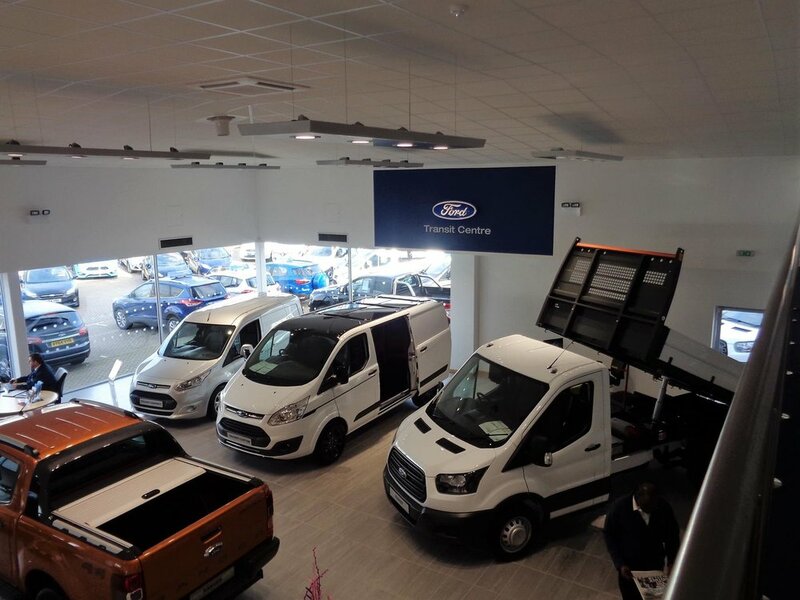 A full design & build project, Kiwi Design altered and refurbished a former Jaguar dealership into a new Hendy Ford Dealership. 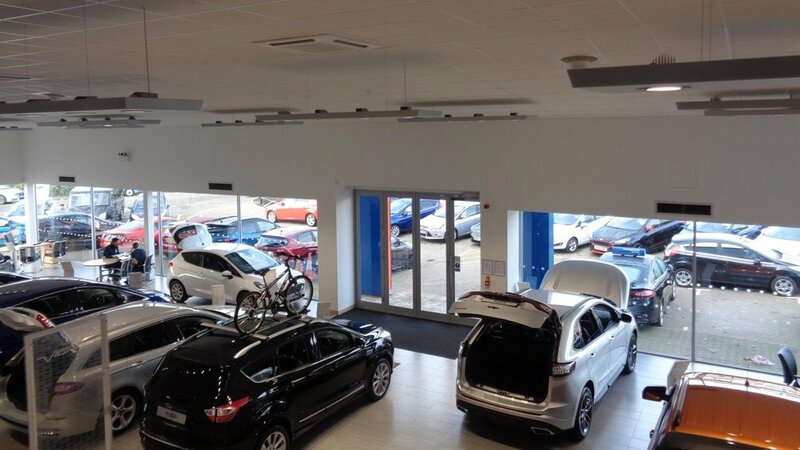 Part of the existing showroom was repurposed into a workshop with MOT Bay and parts store. 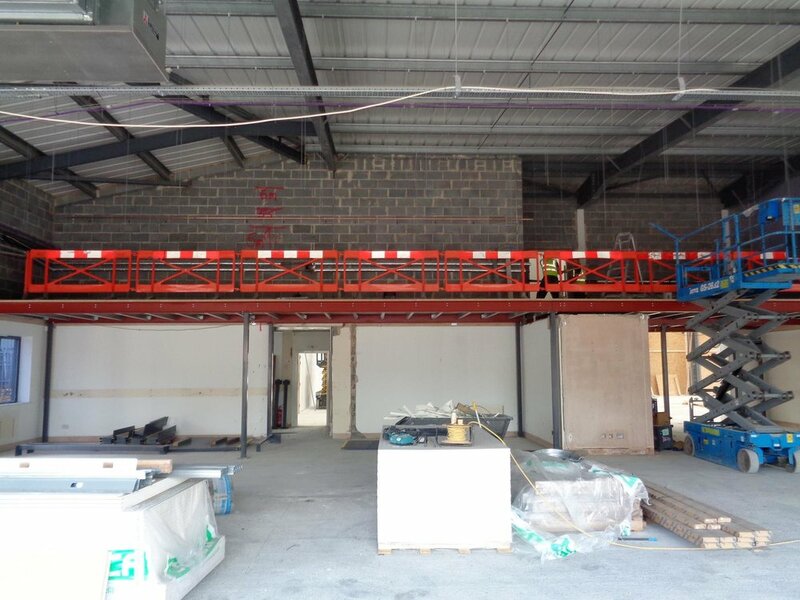 Raising the ceiling in the main showroom also allowed for a mezzanine with office, meeting room and staff facilities. To create a clean and professional exterior, Kiwi Design refurbished the whole roof. 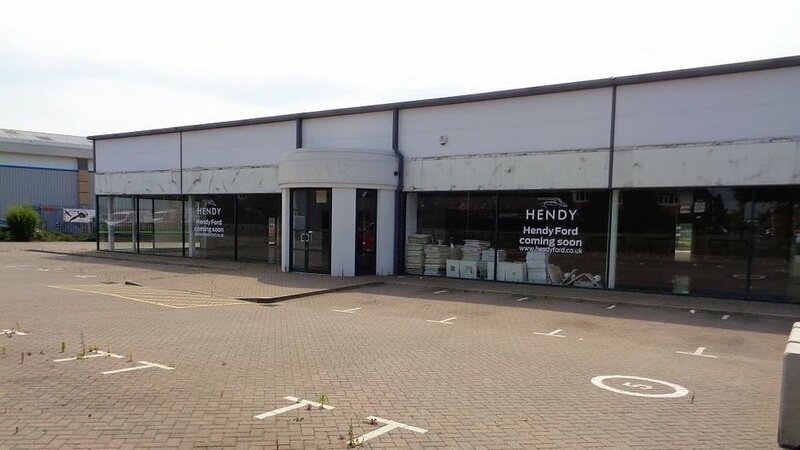 Any necessary repairs were completed, along with the cladding and spraying. In the workshop area, existing windows were replaced with fire-safe roller doors. All other external doors were replaced and the existing windows were refurbished. 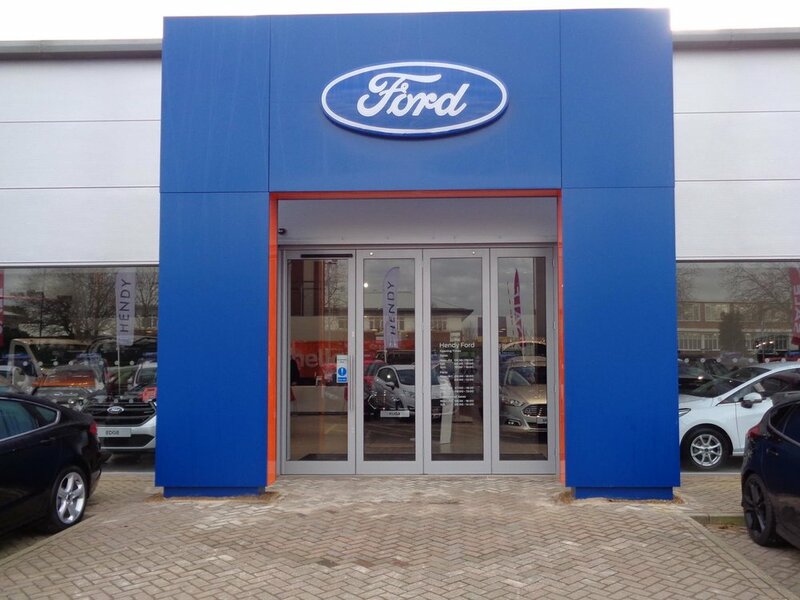 The main entrance was redesigned and fitted with sliding, folding, entrance doors. 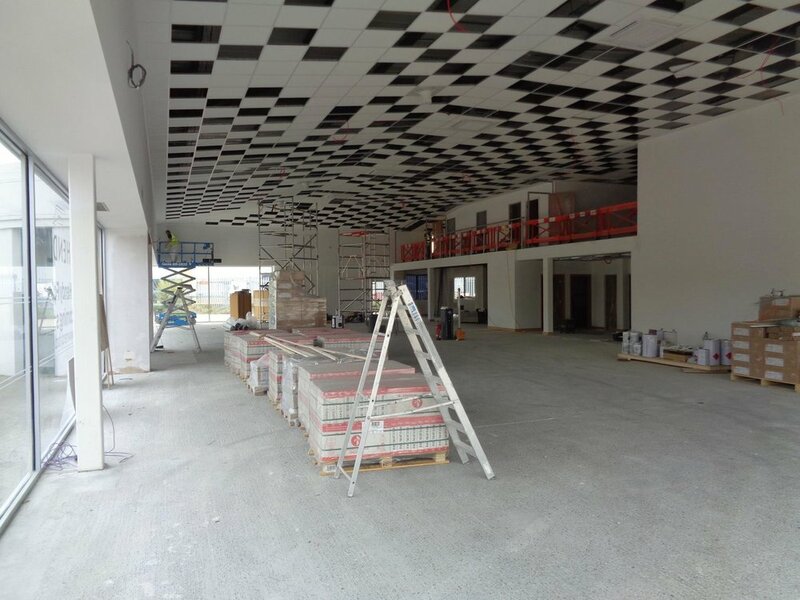 To maximise the use of space, the existing ceiling was removed and a new suspended ceiling fitted at double-height. 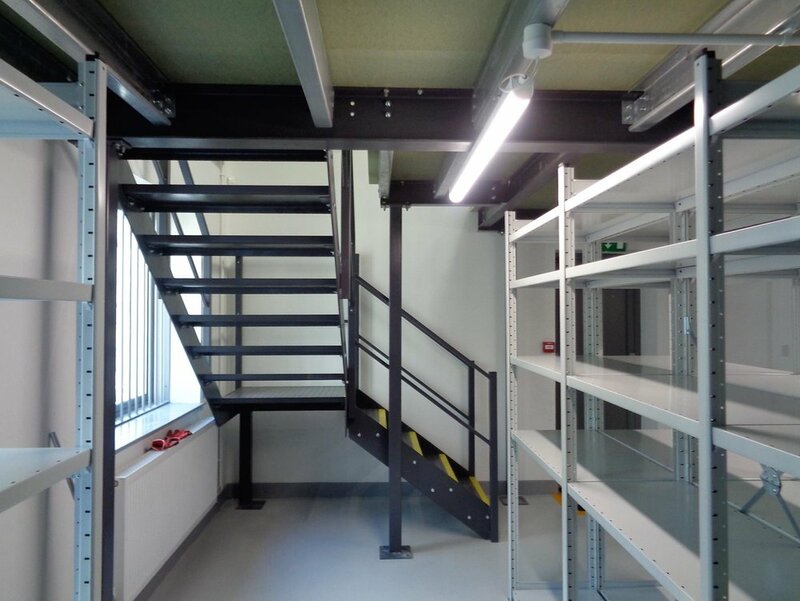 A mezzanine floor was then created with offices, meeting room, toilets and drinks preparation area. 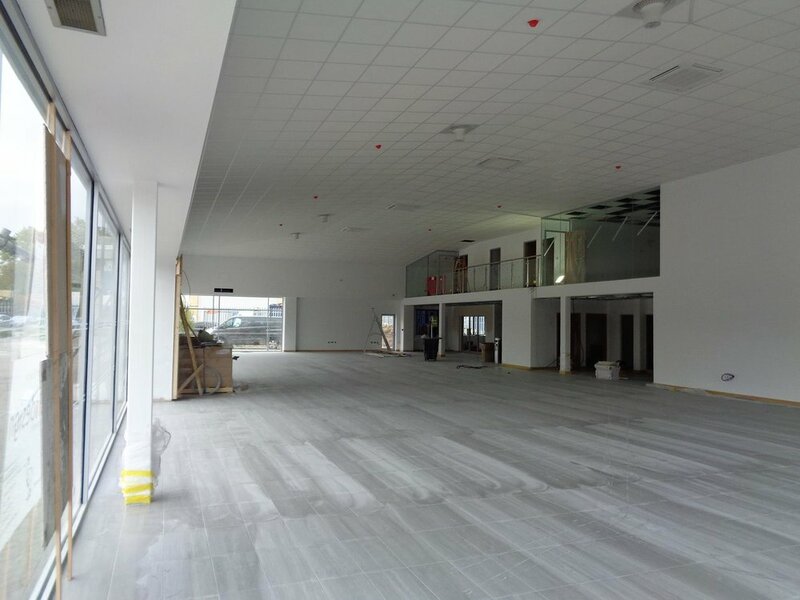 Preparation of this area included installation of structural steelwork, glazed and studwork partitions, decoration, joinery, electrics, plumbing, carpet, vinyl & ceramic flooring, and air conditioning for the showroom and offices. Repurposing part of the old showroom created a large workshop area, separated from the new showroom with an extended partition wall. Steel fire doors and roller fire doors were fitted throughout, with aluminium checker plate on the walls for easy cleaning and maintenance. Epoxy flooring was laid throughout the workshop, MOT and parts area. 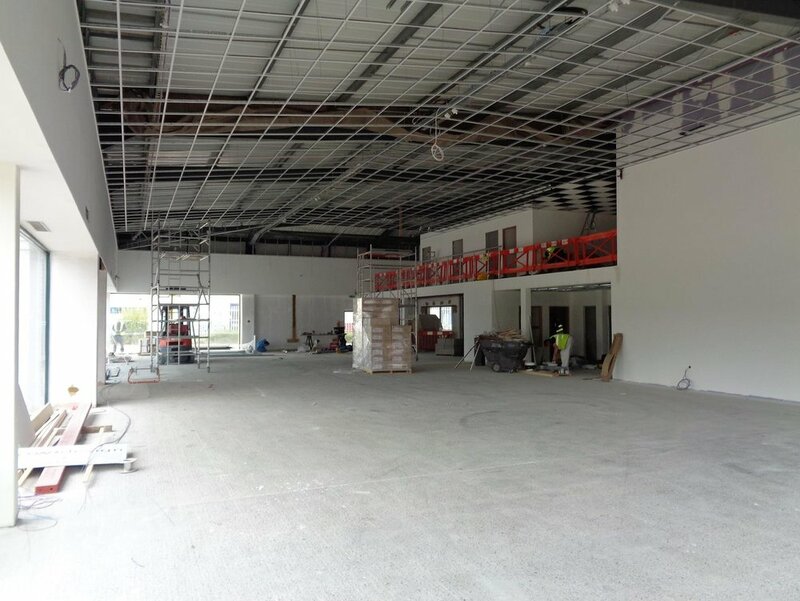 All required plumbing and electrics were also completed, and Kiwi Design staff attended contractors for the workshop fit-out.